Mansoon have started and all of you might be hunting for some places to hang out oevr the weekend. I know it feels really very nice to spend some time in chilled water coming out of natures tank when it overflows. 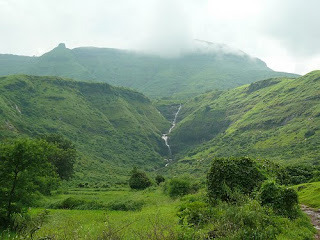 So here I am writing about "Bhivpuri Waterfalls", one of the most amazing waterfall near Mumbai oops.. aamchi mumbai :). Keep reading for more information about Bhivpuri Waterfalls which is near Karjat and Neral. 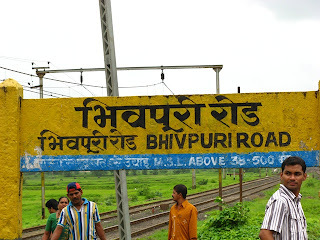 Bhivpuri Road is a small and very beautiful town located in Karjat Taluka which is situated near Mumbai ( Central Line ). 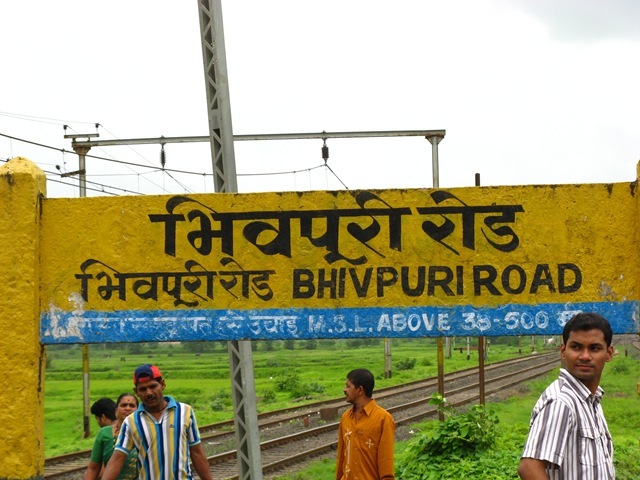 Bhivpuri Road is a railway station in between Neral and Karjat. Take a down local (Karjat / Khopoli) on central line. Enjoy your journey till Bhivpuri Road station and be prepared with your bags, because next station is Karjat where you need to get down. Come out of Karjat station and look for auto stand at east side, its 1 min from station. Ask auto wala to take you to Bhivpuri waterfall (Ashane Gaon). Iccha ahe ka jaychi...? ja mag chalat, parat alyavar mala sanga kasa gelat te mag me blog update karto. Hydro-electricity generator plant near Bhivpuri Dam by Tata Power. There are many resorts near karjat and neral. You can also find cheap cottages near around Neral and Karjat station to stay for day or two. If you are planning to stay then you can also extend your picnic to Khopoli a last station on same line, where you can find lots of nice places to visit and nice and cheap resorts for stay.